In 2017, Skin MD Singapore and Malaysia will be launching the latest “shining bright program”, using a new 5mm handpiece. This new program promises better results and a more comfortable treatment for melasma management. 3 international experts are invited to talk during that conference and there will be discussions and sharing of case studies during the day. 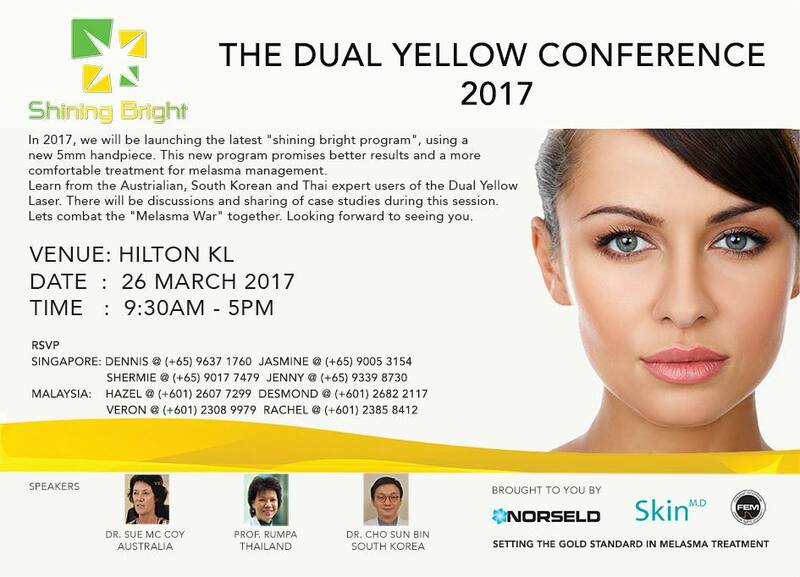 This is a wonderful opportunity to discover the Dual Yellow laser or to share your experience with other Dual Yellow users. We or our distributors regularly attend conferences, trade shows or other events. You'll find here all information about these events. © 2018 NORSELD ALL RIGHTS RESERVED.